​Whether you are climbing Mt. everest or walking down the street, accidents happen. The rescue diver course teaches you techniques to improve your skills in the event of an emergency at the dive site. Some of the skill tight in this course include dive planning and management, recognizing and managing stress as well as how to rescue panicked and unresponsive divers. Many people reflect back on their rescue course as the funnest and most rewarding course they have taken. It is a "must have" for anyone with a keen interest in diving. More information on pricing, dates, registration etc. Complete five knowledge development segments and exam. Demonstrate skills from the Self-Rescue Review either in confined or open water. Demonstrate skills from Rescue Exercises 1-10 in open water. Participate in Rescue Scenarios 1 and 2. Prepare an emergency assistance plan for a dive site. 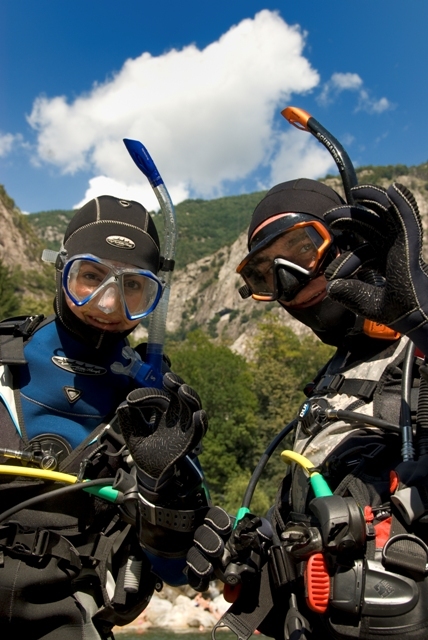 PADI Advanced Open Water Diver certification or equivalent. EFR Primary and Secondary Care training within 24 months, or a CPR course with first aid within the past 24 months.